Introducing The Ultimate Invisible Seamless Granny Square Join! Good afternoon my dear yarn crafting friends! I’m so happy to be able to share with you a method that will give you the perfect look you desire for your granny square project! 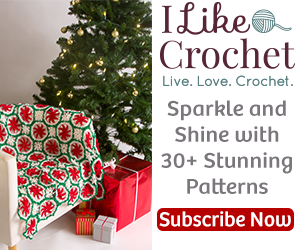 Whether you are making an afghan, a rug, a pair of granny square slippers or a granny square bag, this join method will give you the complete invisible seam you just might need! For this project, I’ve used a granny square that does have a few open spaces along with a contrast yarn to show you how truly magical this join can be! The last couple of images in this text/photo pattern you are about to see show you just how easy it is to disassemble the squares if you have messed up somewhere, but I don’t want you to think for 1 second that this makes the squares easy to separate! In fact, the ULTIMATE invisible seamless granny square join is so tight, so tough, your granny square project will remain in tact no matter how you finish off! So, enough talk from me, if you click on this link or the image above, you will be taken to the technique/instructions on this website. If you are looking for the printable pdf for this technique, you will have to visit YarnWars Facebook Group where we house all of our pdf patterns. Thanks so much for joining me today everyone!